The Holocaust in Europe was the extreme distillation of the essence of evil. It was prepared, as are all genocides, by first engineering the dehumanisation of its victims. The ‘Final Solution’ of the Nazis then progressed to the wholesale killing of millions, mostly Jews, on an industrial scale, that established a terrifying precedent in the history of man’s inhumanity to man. Seventy years on, there is tragically now a resurgence of anti-Semitism driven in large part by the policy of the Israeli government in its brutal treatment of the five million indigenous Muslim Arabs whose lands it still occupies – much of which it has expropriated in violation of international law. To omit this causal factor in the increase of antipathy towards those who openly support current Israeli government policy, is to collude in its agenda, either deliberately or otherwise. There has been much media comment this week that has correctly condemned the rise in anti-Semitic invective but virtually no acknowledgement of that which is undoubtedly a key driver to its growth. 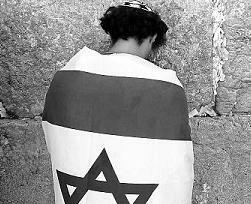 Until such time that the policies of the Netanyahu government, in illegally settling 500,000 of its citizens on occupied land in order to prevent self-determination for the indigenous Palestinians, are condemned outright and positive action taken by those Western governments who have diplomatic and commercial relations with Israel’s Likud coalition, then anti-Semitism will continue to increase exponentially to the danger of European society, in general. It is self-evident that when democratic integrity is jettisoned and human rights are abused – not in legitimate defence of the state but in order to achieve economic profit and political and military advantage, then such a society is corrupted as are those who contract with it. For those UN states who are signatories to the Geneva Conventions, to allow any maverick UN member to continuously violate international agreements by treating the law and the United Nations itself with contempt, then such tacit collusion bodes ill for future world peace and for the international community. International law and human and civil rights must be respected today if the Western world is not to experience mass murder again, tomorrow.